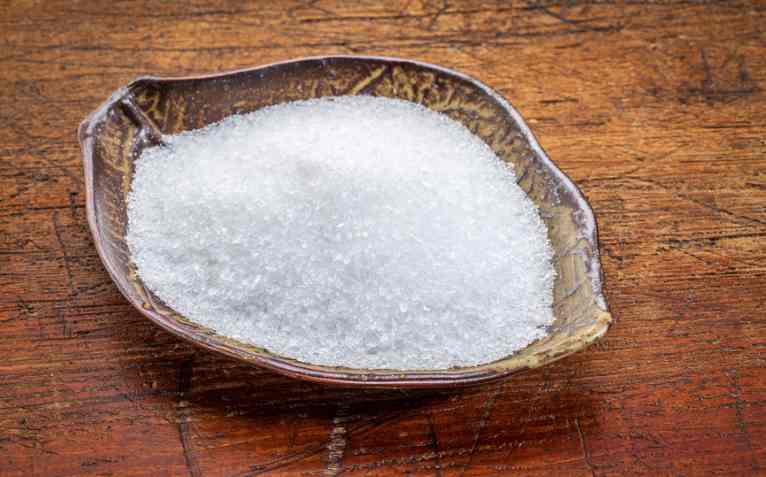 Curing Acne with Epsom Salt – Does It Work? By now you probably know that there are all kinds acne-combating treatments, but using salt is a new and questionable method of relieving recurring breakouts. It is also one of the easiest to acquire, as salt exists in abundance and you can buy it from most food stores. Combining salt with a small amount of water may be able to relieve certain acne symptoms. Indeed, this form of acne reduction is revered by many as a potent cleanser, with Epsom salt taking the lead as the best reviewed remedy. But does it really function as an acne-fighting agent? Epsom salt contains anti-inflammatory property which reduces redness, pain, swelling, and inflammation caused by acne. A common misconception is that Epsom salt is like any ordinary kitchen salt. Whereas regular salt that you use when cooking is actually sodium chloride, Epsom salt predominantly contains magnesium sulfate. It is no secret that magnesium has beneficial properties. It is thus believed that the magnesium in Epsom salt is what makes it the perfect acne solution and a great aid toward the health of your complexion. People throughout history have been consistently ingesting magnesium as a regular part of their diet. Although magnesium nowadays occurs in many of our daily diets, we do not take in nearly as much as people of previous eras. Our deficiency causes numerous problems because magnesium is key in ensuring a healthy body, as its various enzymes are attributed to healthy living. In order to combat this magnesium deficiency, nutritionists encourage the use of Epsom salt in the hopes of increasing the percentage of our magnesium intake. The last couple of years have seen a trend of Epsom salt promotion against recurring pimple breakouts, as well. By simply putting together some Epsom salt and a liquid such as water, you might be cooking yourself up the perfect remedy for your skin. Proponents of this method claim that allowing this mask to rest on your face for some time would let it be successfully absorbed into your pores, eventually resulting in a smoother complexion. Although many believe Epsom salt to be a cure-all solution for acne, few experiments have been conducted on the topic. Still, despite the wariness surrounding this cure, on-line commentators vigorously promote its use. Indeed, many stand by it being the best natural solution for individuals suffering acne-related problems. Despite the lack of official findings, those who do promote it as a solution may be speaking the truth out of experience. This is because there is no real reason why they would be praising it in the hopes of promoting and marketing a new product – Epsom salt is a cheap and widely-available ingredient. For these reasons, we are inclined to believe in its benefits. It is not a given that your skin will immediately clear up after applying Epsom salt to it. It is not exactly the cure that absolutely everyone is gushing over, as there are so many types of acne-fighting therapies available. Still, many do claim success after trying it out on their skin, so let us delve into the possible benefits for your complexion. As aforementioned, the magnesium in Epsom salt is extremely beneficial for us and for our skin. Upping your magnesium intake may hence end up working miracles for your overall well-being, as well as for your acne-related complaints. In general, the magnesium in Epsom salt is an all-round remedy against toxins gathering throughout your organism. While it is more rare that acne is actually caused by internal toxins, it doesn’t hurt to purge yourself of harmful substances in your body. As the magnesium in Epsom salt sits well with your system’s enzymes, you may just find that your body will thank you by providing you with clearer skin. Last but not least, Epsom salt is an able fighter of inflammation, which is essentially what pimples represent. This is because your enzymes are what combats such kinds of irritation. As the magnesium in Epsom salt provides fuel for enzymes, it may just be the cure for acne that you are seeking. More than that, salt is a general benefactor for the state of your complexion, as it dries up your skin, thus depriving it of the hydration that germs need to thrive. By default, decreasing the amount of germs on your skin immediately decreases the likelihood that you will be breaking out any time soon. Additionally, the dehydration that salt promotes leads to less oil available for the formation of pimples. Given this simple information, we are inclined to give it a try. Furthermore, salt is an excellent exfoliator and can rid you of the bulks of cells that your complexion no longer needs. This leaves you with smooth, healthy, alive skin, which does not tolerate bacteria build-up. While side effects of Epsom salt are quite uncommon because it is not a chemically produced drug, it is still possible that you experience some sort of reaction of your skin to the salt. Most importantly, you must consider the severity of your acne before putting the ingredient to use. It is not advisable to use salt on skin inflammation that is open or bloody. Thus, if your pimples are particularly inflamed and open at a particular moment, you might want to skip this method. While the salt will cleanse them, the process would lead to extremely unpleasant sensations. In such a case, simply wait until your pimples close up and retreat, and then you can think about using Epsom salt to rid yourself of them altogether. Moreover, salt is quite a rough product, which means that it will create intense friction when rubbed against your skin. Naturally, acne-ridden skin is highly sensitive, so you might not want to use such a tough, scratchy substance to meddle with it. However, depending on the sensitivity of your skin and on the severity of your acne, you may want to still give Epsom salt a tentative try. If you do have very sensitive skin and are looking for another way to use this type of salt, you might want to look for an edible type of Epsom salt for your condition. Do not attempt to ingest topical Epsom salt just because you are presently unable to rub it into your skin. What is more, you might not want to apply the magnesium in Epsom salt to your body if you are currently on certain kinds of medications. This particularly applies to the edible kind of Epsom salt. When in doubt, ask a doctor, as you would rather be safe than sorry. You have sifted through sufficient amounts of information and you are now ready to attempt to clear your skin with Epsom salt. How should you go about doing that? The easiest approach is to simply pour some Epsom salt into a bowl and stir in enough water so as to obtain a thick paste. Apply this mixture to the affected region and massage it in lightly. If you experience excessive stinging, immediately stop and opt for a more mild type of treatment. Also, avoid the skin around your eyes, as it is sensitive and should not be exfoliated. You can also create a similar mixture using a cleansing solution instead of water. This might arguably work better, as it combines the healing powers of both the salt and the cleansing product. You will be ridding your face of gunk, and replacing the dirt with the healing ingredients of the salt. If you have acne on various areas of your body and it would simply take too much time and effort to apply these kinds of paste onto your whole physique, you might want to opt for an all-round cure, instead. What you have to do is create an Epsom salt bath for yourself. Of course, this works best if you have a bathtub, but you might also be able to find the therapy offered at various spa establishments. In fact, Epsom salt baths are a popular method used to alleviate symptoms of various ailments, such as muscle and joint inflammation. As this kind of salt is able to benefit every area on your body, you can also use it for chest and back acne, and arm and leg acne, in addition to facial breakouts. Indeed, Epsom salt is already a widely-used component of regular bath additives. Therefore, if you are suffering from acne in larger areas of your body, go for this large-scale method of applying Epsom salt to your body. While some people swear on the beneficial effects of Epsom salt on acne, many researchers seem to disagree. This is most obvious in the general lack of research, experimentation or data on the exact influence that the salt may have on pimples. Although magnesium has been definitively proven to aid your skin in replenishing itself, it is not certain that it can truly cure you of the ailment altogether. Certainly, magnesium’s beneficial effects on your complexion are vast – from drying up oily skin, to exfoliating it and minimizing its irritation, so it would seem that magnesium is the ideal all-round agent for skin problems. Still, different types of skin may react in different ways. Epsom salt also beautifully cleanses your complexion from germs and other kinds of dirt that may be causing your skin to break out regularly. However, because salt is such a strong agent, it may also do away with the good kind of bacteria which you do want present on your skin. As, Epsom salt is a very strong exfoliator, it basically strips your skin of any kind of coverage. You might not want that, as it is also important to protect your complexion from outside agents which are just waiting to jump on board and cause you further problems. What is more, while Epsom salt does counteract internal toxins, this has in no way been proven to directly influence your skin’s health. One argument for why some people swear by Epsom salt’s acne-fighting abilities is that they simply represent highly committed individuals who have excellent skin routines, anyway. Those who try Epsom salt are likely also investing more effort into cleaning their complexion, washing it and purging it of harmful germs. Naturally, their skin may be clearing up quicker than the skin of those who take less care of themselves, but this may not in any way be connected to Epsom salt. We do prefer to keep an open mind, as it is indeed possible that we simply don’t know enough about this product’s effect on acne. For that reason, we advise giving Epsom salt a try if nothing else is working and if your skin is in a condition to tolerate its intensity. However, until we see more scientific evidence for its benefits, we do not recommend fully relying on this ingredient. At this point, the only way to truly know whether or not Epsom salt can diminish your acne is to attempt using it yourself. Apple Cider Vinegar for Acne – How Does It Work?